A Linear pool may be the best fit for your backyard and compliment the architectural design of your home. They lend themselves perfectly to swimming laps and can be more economical than a more customized design. 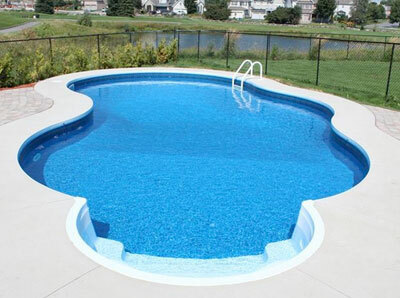 The simplicity of the rectangle shape doesn’t limit your ability to customize your new pool and make it unique. 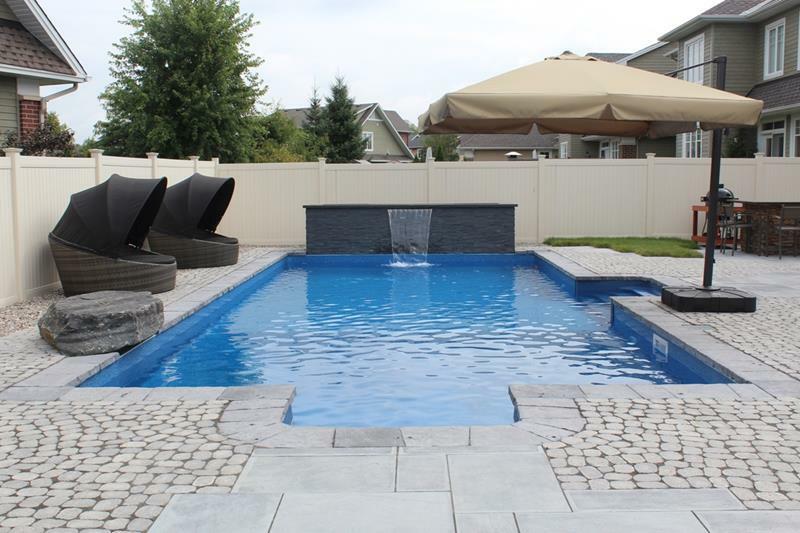 Kemptville Pool offers a wide range of options including custom steps and benches, water features, paver or stone coping and patio choices, pool/spa combinations, a variety of liner choices and other accessories to personalize your pool. 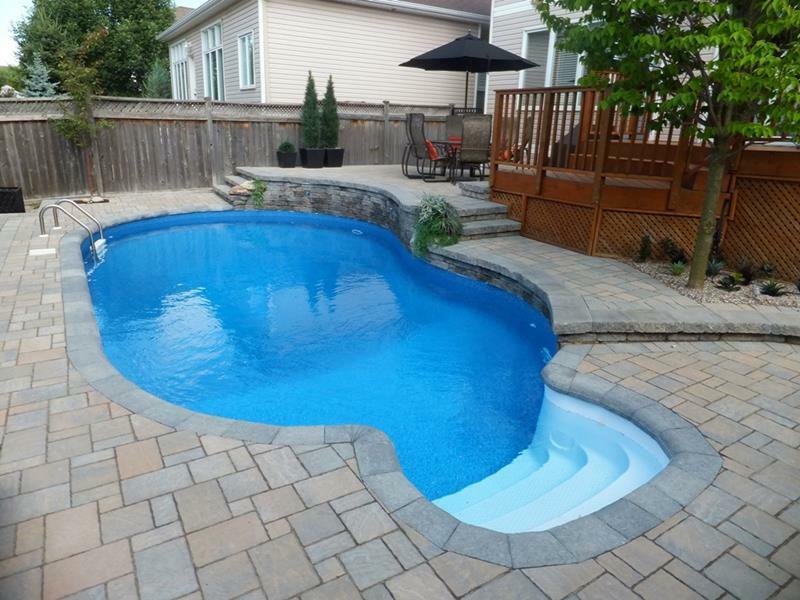 Kemptville Pool will help you design your custom in-ground swimming pool to reflect your style and personality and the functionality to provide your family with years of enjoyment, assisting you with all aspects of designing your inground pool, patio and your entire backyard paradise. There are several factors to consider: What shape will look best? What size will compliment my house and my backyard? What water features will look the best? Add a custom water feature to bring tranquility to your new pool. Water features have an amazing ability to give your pool a focal point, create or enhance ambiance, and can be built to suit any style — tropical resort, romantic oasis, elegant escape or family fun zone. 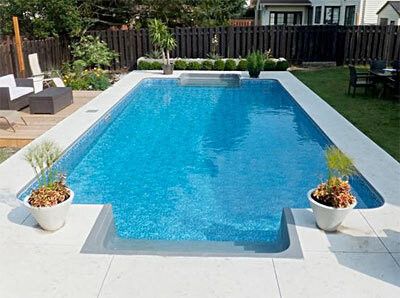 Talk to Kemptville Pool about how water features fit into your dream pool plan. Together, we’ll work closely with you to design a water feature, or combination of features, that will take your pool theme to the next level. Let’s face it — most of us spend more hours around the pool than in the pool. 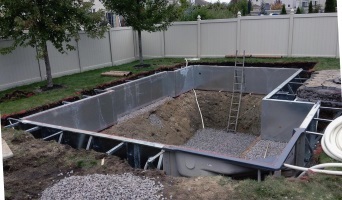 In addition to beauty, a pool surround can provide increased safety and functionality. Smooth coping stones around your pools’ edge will make more comfortable entry and exit. A beautiful and functional landscape surrounding your pool will help you and your guests enjoy many more hours of poolside conversations, meals and relaxation. 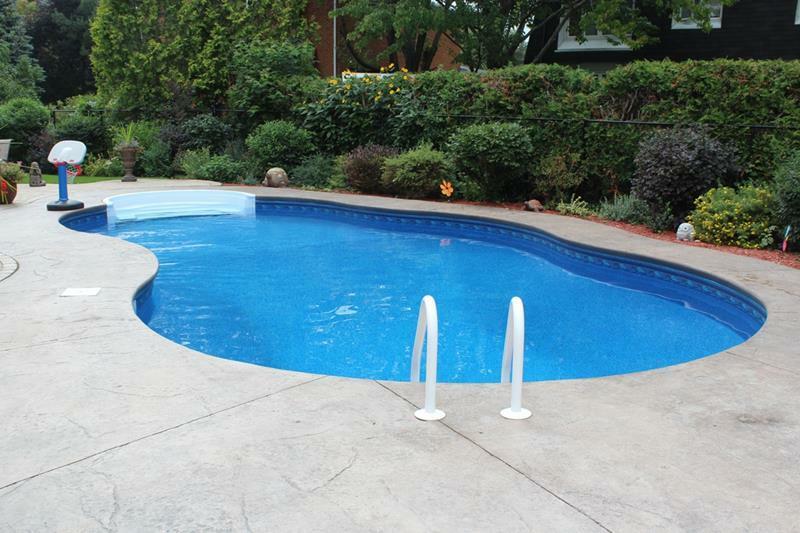 Customize your new Kemptville Pool with a stamped concrete surround. Stamped concrete is commonly used for patios, sidewalks, driveways, pool decks, and interior flooring and virtually indistinguishable from actual real stone, stamped concrete is a less expensive alternative to using those other authentic materials such as stone, slate or brick. The great thing about it is no more weeds, no more shifting, simply hose it down! Maintenance free for life. Retaining walls can add stability and interest to your landscaping design. Retaining walls are carefully engineered systems made to hold back saturated soil and prevent soil erosion, preventing damage to foundation or to surrounding landscapes. Increase-ing usable yard space by terracing sloped property, they are designed to increase the aesthetic appeal of a landscape, and low retaining walls can add a natural bench or seating area. 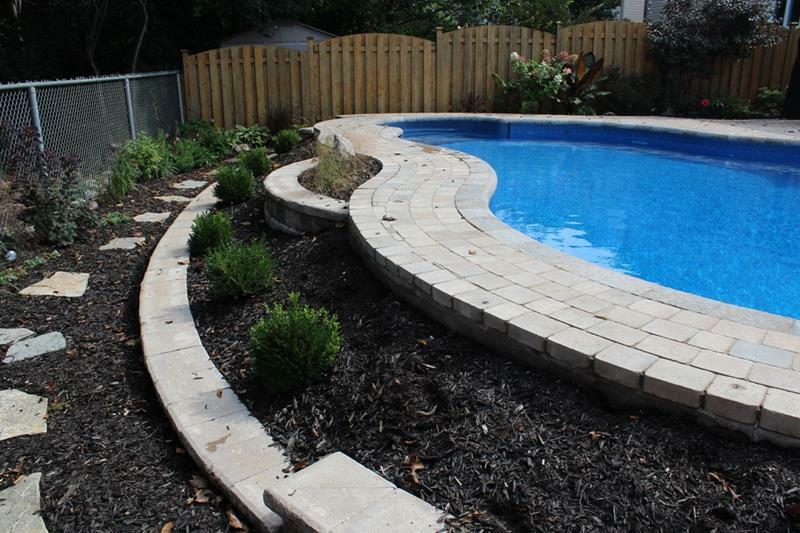 Kemptville Pool can complete your yard with safety and beauty with fencing to complement your new pool. Because there's more to an inground pool than just water, we include many turn-key services with installations of our inground pools. This allows us to offer what we call the "One Contractor, One Price" method of poolscaping your yard! 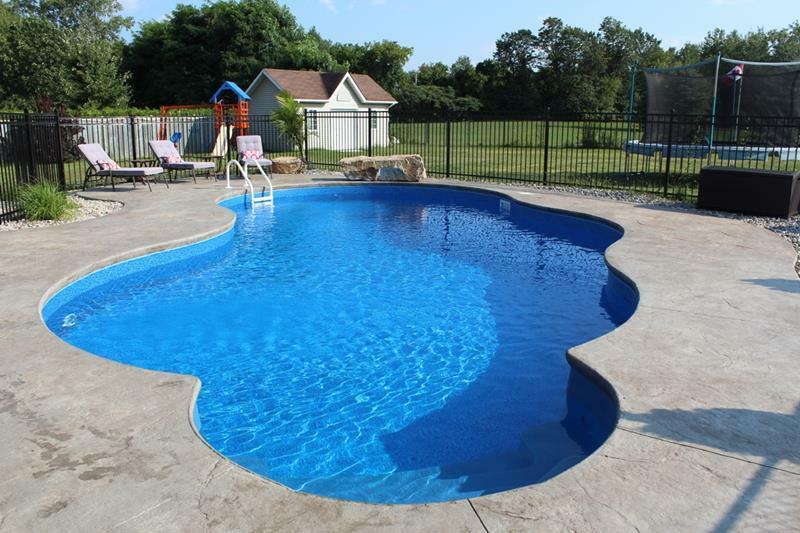 Your inground pool will be safe all year round with one of our beautiful options from Kemptvile Pool.